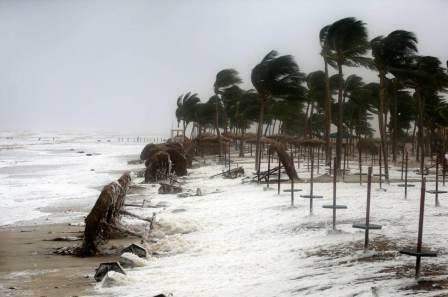 Oman proclaimed schools in Dhofar governorate will close on Thursday as a tornado wrinkles asset in the Arabian Sea, 11 people killed in the sultanate and Yemen five months before due to Cyclone Mekunu. Cyclone Luban is predictable to hit southern parts of Oman and Yemeni islands, including Socotra, on Wednesday night with winds expected to reach 120 kilometers per hour. "Schools will be shut as a precautionary measure and to protect the students and staff...and in case residents need shelter during that time," the education directorate in Dhofar, 950km south of Muscat, said in a statement on Wednesday. Luban has presently measured a grouping one humid cyclone. In May, Cyclone Mekunu killed at least 11 people in southern Oman and the Yemeni island of Socotra. The cyclone had out-of-the-way parts of Socotra island with the government stating it a "disaster" zone.